When we hugged by the mountain and sea, we finally started coexisting with nature. During the Qing Dynasty (about 1890), a workmen discovered flakes of gold while constructing the new Taipeh-Kelung railway, and in 1893 a rich placer district was discovered in the hills of Kau-hun – Jin-gua-shi, that produced several kilograms of gold a day. The resulting gold rush hastened the village's development into a town, and reached its peak during the Japanese era. The street only 3.4 feet wide which is hard to see the sun, so it was called ‘ An-gei-a (Taiwanese pronunciation which means dark street)’. Now it is the most famous old street we stroll at Jiu fen. Gold mining activities declined after World War II, and the mine was shut off in 1971. Jiu fen quickly went into decline, and for a while the town was mostly forgotten. Many present features of Jiu fen reflect the era under Japanese colonization, with many Japanese inns surviving to this day. It became popular again since Hou Hsiao-hsien's A City of Sadness, the first film to touch on the 228 Incident, then a taboo subject in Taiwan, became a big hit in the theatres in 1989. Maybe the declining of Jiu Fen just back to the peaceful it should have. 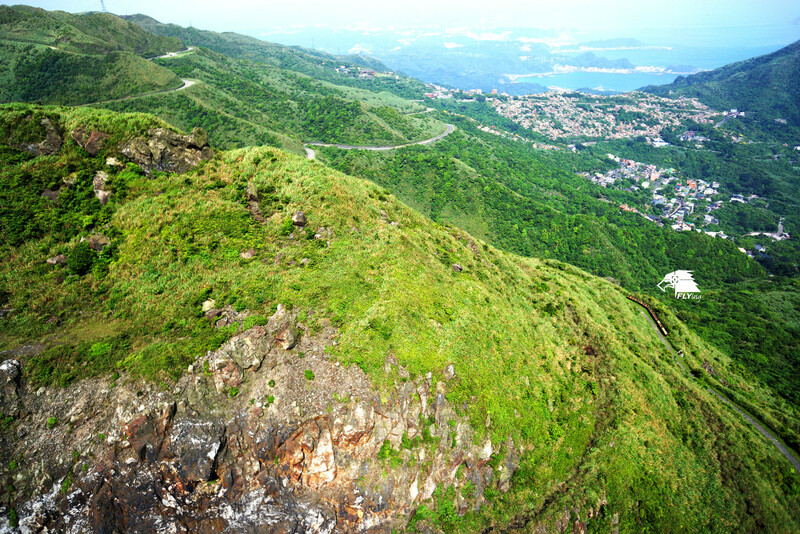 In the angle we can’t see, Jiu Fen finally started coexisting with nature.